This year’s United Nations Forum on Business and Human Rights will bring together over 2000 participants - from government, business, community groups and civil society, law firms, investor organisations, UN bodies, national human rights institutions, trade unions, academia and the media - at the Palais des Nations in Geneva to discuss the theme of "business respect for human rights – building on what works". Held annually since 2011, the Forum is the world’s largest annual gathering and premier networking event for those working on business and human rights. In over 60 panel discussions across three days, the programme will cover highlights from the impacts of climate change to supply chain management, addressing modern slavery, and the implementation of the Sustainable Development Goals. As well as attending the conference, our delegates will have the chance to meet with IGOs and NGOs in Geneva to explore the Forum's issues in more depth, and discuss current business-related human rights issues. Naturally, there'll also be some free time to explore the wonders of this diplomatic capital! We're thrilled to have our World Bank and IMF Annual Meetings alumna Libby Rahman leading our delegation to the Forum! Libby is very interested in international relations and human rights and is passionate about utilising data and analytics to make a difference. She has a diverse academic background with a conjoint BA/BCom degree with majors in Economics, Finance and Political Studies and a BA(Hons) degree in Development Studies from the University of Auckland. Libby developed an interest in business and human rights while researching the role pharmaceutical corporations play to respect and protect people’s right to essential medicines for her BA(Hons) research. Following graduation, Libby worked in the NGO sector. In recent years, she has been developing her analytics capabilities. She currently works in banking and enjoys working on analytical projects focused on utilising data and insights to improve customer experience. Libby is interested in finding out more about how the power of advanced analytics can be harnessed to improve human rights accountability. Joanna is currently 18 years old, a first-year student at the University of Auckland studying the Bachelor of Urban Planning and in the process of switching degree to Global Studies, majoring in Environment and Sustainable Development. Growing up in West Auckland now living in central Auckland, allowed her to appreciate both the urban and natural environment’s biodiversity at a young age. Joanna is particularly interested in environmental journalism, as she is currently an ambassador / environment journalist for YRE (Young Reporters for the Environment), both national and internationally. By attending her first international conference at the 9th University Scholars Leadership Symposium this August, Joanna is determined to continue her journalism work in the environmental field, and can see herself working internationally in global governance or the UN habitat and is excited to expand both her perspectives and knowledge at the United Nations Forum on Business and Human Rights. 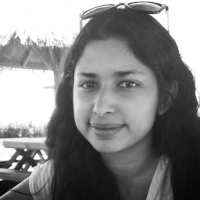 Katrina is a student at the University of Auckland, studying a Bachelor of Law conjoint with a Bachelor of Global Studies, majoring in Global Politics and Human Rights. She is avidly involved in the wider community, as a leader in charge of running volunteering for O’Rorke Hall, and attending the UN Forum is a way to combine her passion with making a difference where New Zealand needs it most. When she’s not busy volunteering, Katrina loves to get outdoors, tramping and hiking around New Zealand.